It is inevitable that Asia will have the most economic opportunities, while the US and the European markets are slowly being saturated in many different industries. South and South East Asia, home to over half of the world’s population, has slowly become an industrial and an economic powerhouse. Whether you like to admit it or not, both the US-led West and the China are in a power struggle to gain access to resources and maritime access in Asia. The more these players are involved, the more the strategic Asia will split along the ideological lines. We, Sri Lankans are indeed caught in between these two ideologies. US-led West toppled many democratically elected governments in South America, Africa and the Middle East. If I were to recall these incidents: Guatemala, Ecuador, Panama, Bolivia, Libya, Iraq and the list goes on. Whether which kind of democracy is right for a country or if it is right at all is a whole another discussion. The toppling strategy mainly had 3 different stages. First, the leaders would be bribed into play their tune, allowing the powerhouses to have access to the countries resources. CIA had hired external contractors that negotiated these deals. They were called ‘Economic Hit Men.’ John Hopkins, who used to be an economic hit man back in the day, talks about his experiences in these incidents in his book, ‘Confessions of an Economic Hit Man.’ If these negotiations didn’t work, the next stage was to assassinate the leader. A classic example is Omar Torrijos, the maximum leader of the Panamanian revolution. Saddam Hussein’s security was very tight that the US was not able to assassinate him, which took the toppling strategy a different kind of a route. There comes the tagline, “Good Governance.” Good governance was used in overthrowing many different governments/regimes. The two most recent examples are Saddam Hussein and Muammar Gadaffi. The Chinese approach to this is far different. What post-Mao Chinese government launched as the great ‘socialist modernization’ has transformed into what we see today. Big bucks that were collected from all over the world were invested back in the US, Africa, Europe and the Asia, allowing them to have access to the resources in these countries. China’s desire to takeover under-utilized, under-exploited markets in Asia has stressed out the US and India. 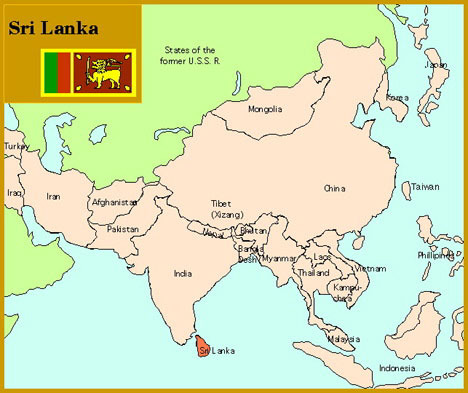 Naval routes, resources and strategic geo-location of Sri Lanka have always been the key interest of anyone who had been involved with Sri Lanka in the history. Due to the close proximity, Sri Lanka has the ability to make a huge impact on India’s strategic security, which makes it a key interest to both China and the US. Who’s game should we be playing? That is a tough choice. It is very difficult to say who’s game, yet it should more be our own game to survive in this space. We should neither be anti-US nor anti-Chinese. They both will have pros and cons in its own style. Some of the recent success stories like Singapore, Malaysia and Hong Kong played neither of these two tunes. They crafted their own style of political strategies to deal with US-led West and the China. We, as Sri Lankans, should probably have a policy and a strategy, which will not change, irrespective of which government stays in power.